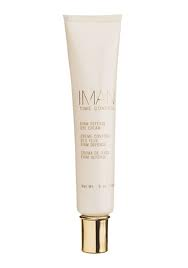 Lightweight cream improves elasticity and preserves moisture in the delicate area around the eye. The antioxidant protection of Coenzyme Q10 and Vitamins A & C fights free radicals that sabotage the appearance of youthful skin. An advanced complex of natural botanical extracts - including ginseng root, soybean and rice bran protein, diminish the appearance of fine lines, wrinkles, puffiness and dark circles.